So, myself and my boyfriend booked a trip to Berlin back in January and the time to fly out there finally arrived. 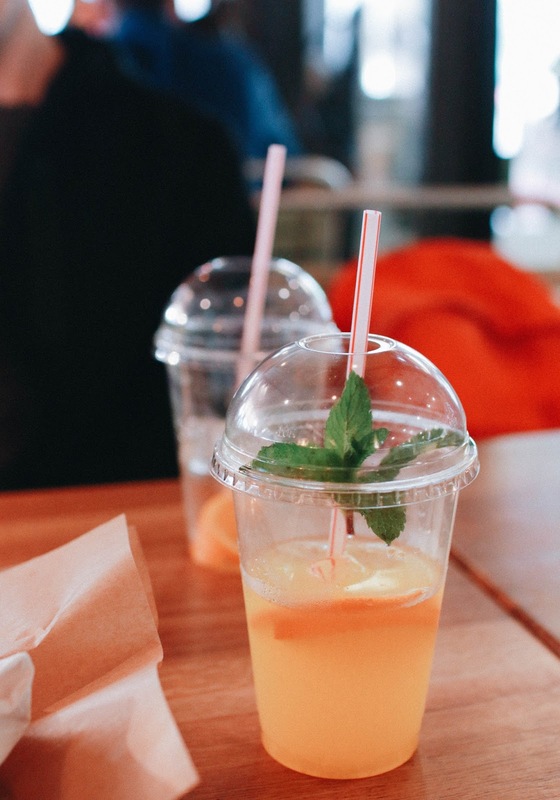 I’m so excited to be writing this post. I got back last night (as I’m writing this on Friday), and honestly, I’m so sad that I’m back in the UK. 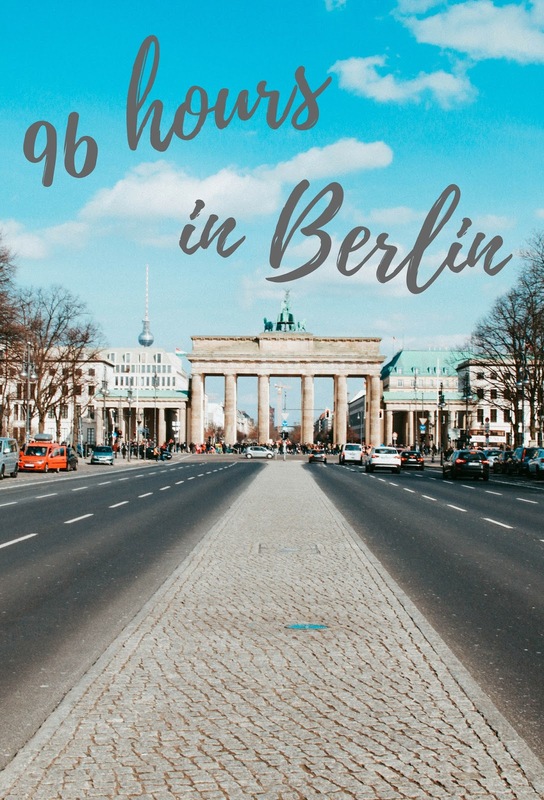 I had such an amazing four days exploring Berlin and eating all the yummy food, I can’t wait to go back already. 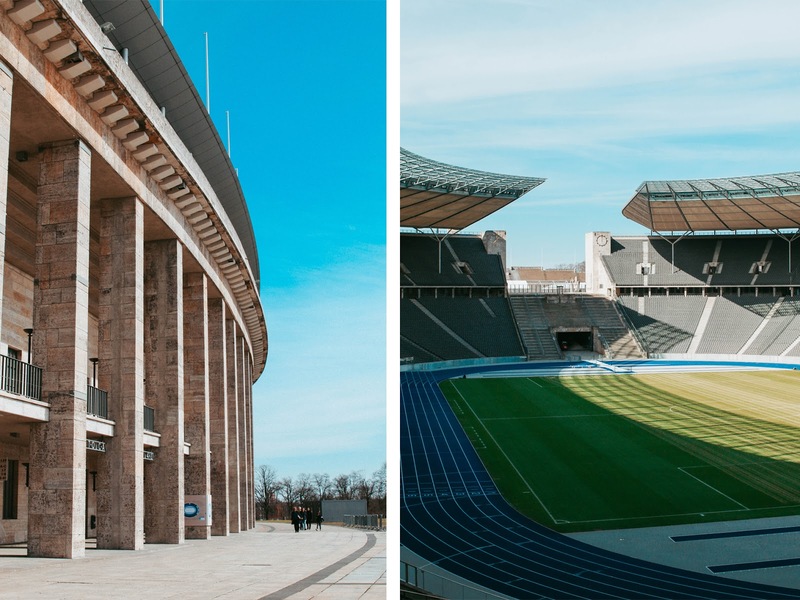 So here’s what we got up to in the time we spent in Berlin. Day one of the trip included a very early start of 4am, to catch a 7:15 flight. Although I was tired af, it was worth it as we got to spend the whole day in Berlin. We checked into our hotel and swiftly went for a little explore. Obviously not knowing Germany very well, we weren’t aware of the fact that pretty much everything’s shut on bank holidays, so we were kind of limited on what we could do. However, the zoo was open so we decided to have a wander around that. It was quite busy, probably because there wasn’t much else to do haha. After we’d finished there, we decided to wander further afield and headed towards the Tiergarten. We walked through part of that, which is essentially a big park. After walking through part of the Tiergarten, we saw the Berlin Victory Column. I really don’t know much about this, other than it was built between 1864-1873. From there, we decided to carry on walking towards Brandenberg Gate. 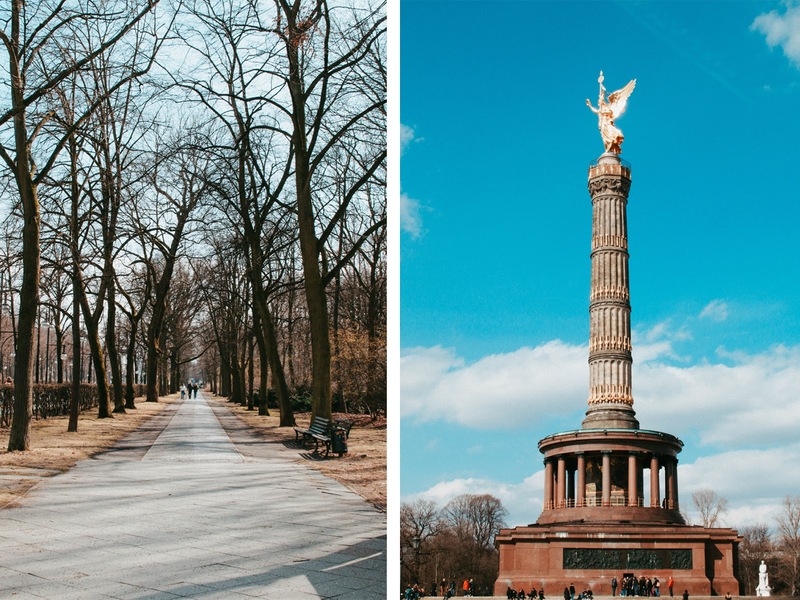 It’s a very long stretch of road from the Victory Column to Brandenberg Gate, but there are a few sites to see on the way. 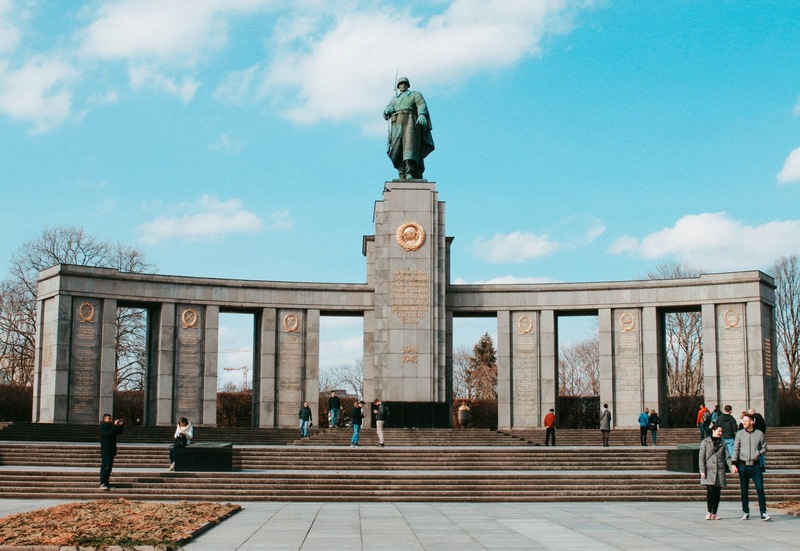 One of which was the Soviet War Memorial, which was very grand. Just on from this was (finally) the Brandenberg Gate, which was stunning. As we were walking back towards our hotel, we decided to have a look at the Reichstag Building, which was pretty much just next to the Brandenberg Gate. 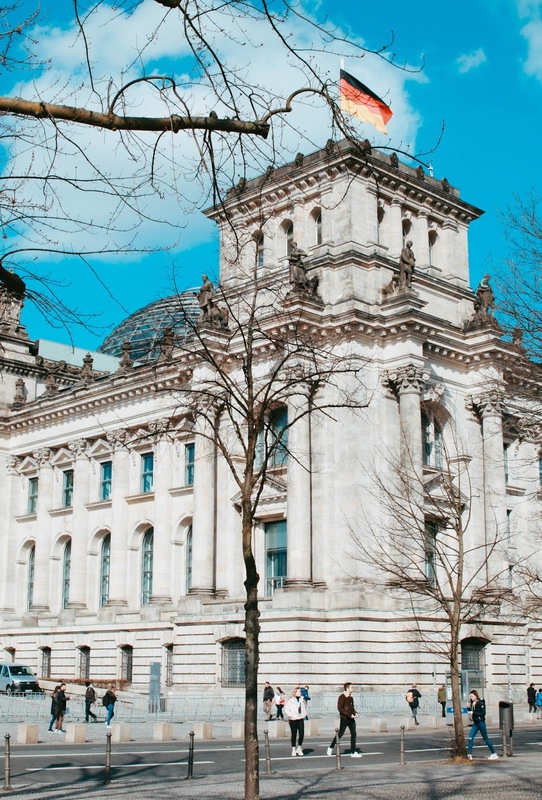 The Reichstag Building is the current home of the German parliament and has a lot of history behind it. The grounds are really nice as well, which I’m sure would be perfect for picnics in the summer. So that was our very busy first day in Berlin, but we managed to see so much! The first thing we did on the second day, was head towards the Art Of Banksy exhibition, in Bikini Berlin. It was quite pricey but worth seeing for sure. After this, we decided to use the U-Bahn (the underground) to get around, which was surprisingly much easier than I imagined. The first place we headed was towards the centre of Berlin, and more specifically Checkpoint Charlie. This wasn’t too much of a walk from the tube station, and the sun was shining so we were happy. I must say, Checkpoint Charlie isn’t the most exciting tourist attraction in the world, as obviously it’s been built around over the years. However, it was still really interesting to see where the Berlin Wall crossing point was. From there, we decided to go and see what was left of the Berlin Wall. 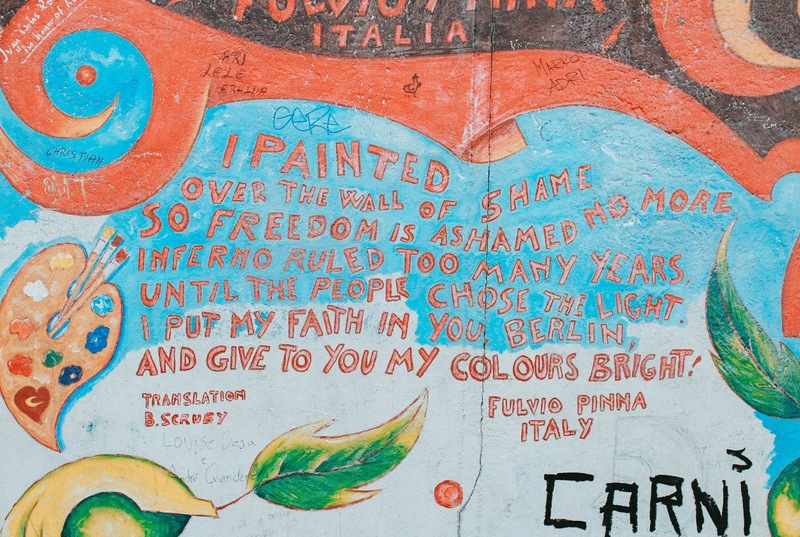 We hopped back on the U-Bahn and headed towards the East Side Gallery. This is where the remainder of the wall is left, and all the way along it, artists have painted murals on it. This was pretty cool to see, as there was such a variety of artwork, a lot of which had a political message behind it. 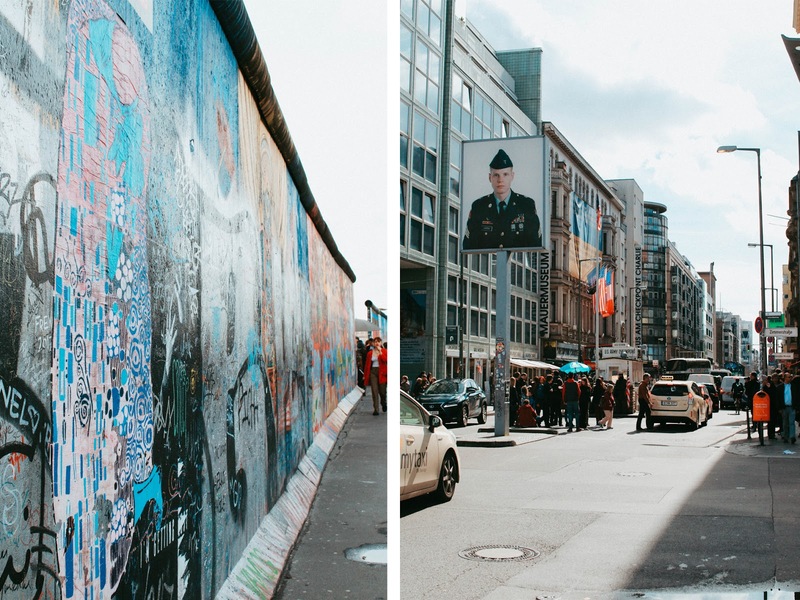 Once we had seen the most part of the wall (and had a well-deserved rest in the sunshine), we headed back on the U-Bahn towards the Ritter Sport shop. I love Ritter Sport chocolate, so this was far too exciting for me haha. I picked up 4 bars, but honestly, I could have bought the whole shop, there were so many yummy flavours. After we’d finished there we decided it was time to head back to the hotel and call it a day. Although we did go to Spreegold for dinner, which was incredible. I posted a photo of what I had on my Instagram, so if you want to see that you can follow me here. Day three started with the usual breakfast at Spreegold, and then we made the short trip to the Olympic Stadium. The weather on the third day was by far the best, and it reached 20 degrees! This was perfect for walking around the Olympic stadium, and it made it look 10x prettier. 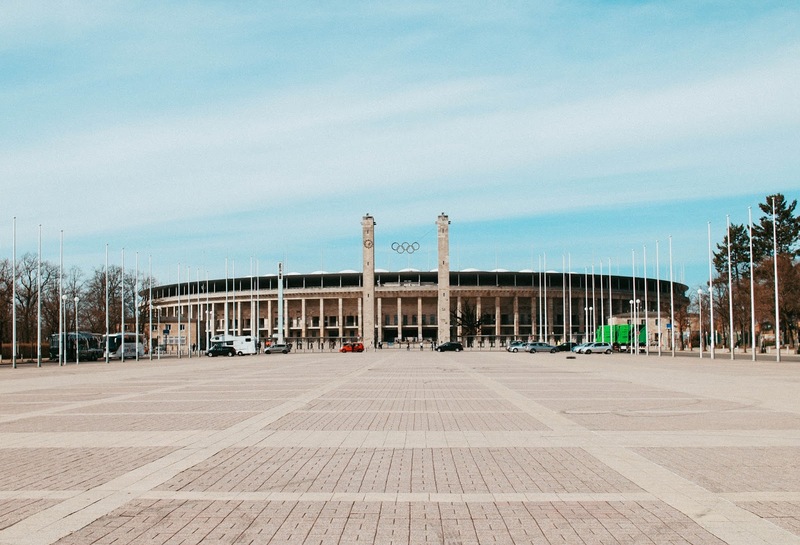 It was built for the 1936 Summer Olympics and has had so many events held there since. The architecture is incredibly beautiful and they’ve kept a lot of the original features, which is so nice to see. After we’d looked around the stadium, we headed towards the Memorial of the Murdered Jews. This is a memorial, that consists of hundreds of concrete blocks, the commemorate the murdered Jews during the war. The meaning of it is open to interpretation, but most people say it looks like a crematorium, which I have to agree with. After this, we decided to go and get a pretzel and sit and enjoy the sun. There was a seating area in the of the roads leading up towards Brandenberg Gate so that’s where we sat and enjoyed our food for a bit. After that, we decided to get an ice cream and go for another wander. This quickly turned into a small shopping trip, which I wasn’t complaining about haha. 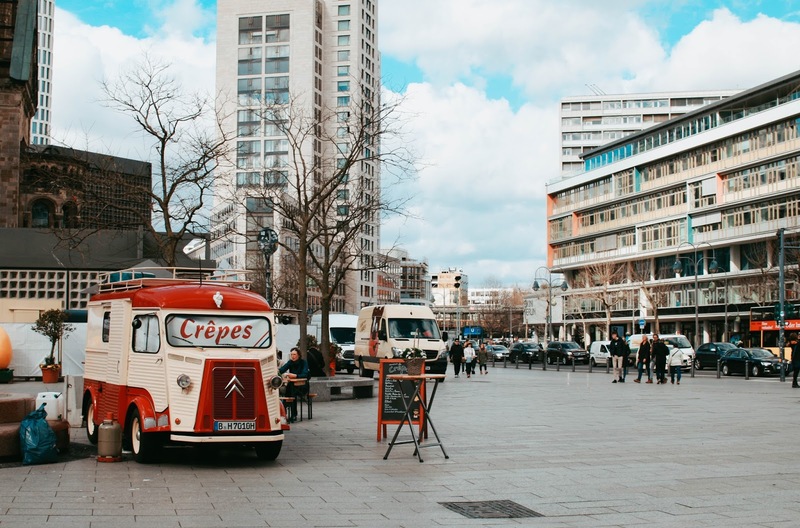 We saw signs for The Mall of Berlin, so we decided to try and find that. Although it’s a huge shopping mall, it was quite underwhelming in my opinion. Maybe that’s because there weren’t the shops I was used to from back home, but it was still cool to look around. We then walked back to where we started and went to Vapiano’s for dinner, which was so different to anything I’m used to. You have to go up and order your own food, you then get a pager and it buzzes when your foods ready, so you have to go and collect it. Basically, it’s a self-service resturant, and the pizza I had was delicious. Our last day in the beautiful city of Berlin. We had our last breakfast at Spreegold (sigh) and then headed towards the Museum of Photography. As a photography student, this was a must for me as I do love a good gallery (lol, how old am I)?! Although we had to pay 10 euros each to get in, it was pretty good. There were three exhibitions on, the main one focusing on Helmut Newton. It took us just over an hour to wander around, and I thought it was pretty good. After that, we had another little walk around Bikini Berlin which was a smaller shopping centre right by our hotel. There were some really cute shops there and they even had some pop-up shops, including one called ‘little beauty box’, which was right up my street. We also walked around some of the outside shops, but by this point we were both quite tired. So a lot of the time was spent sitting in coffee shops, eating bread/cake haha. Then it was time to head to the airport for our flight back. Overall, I had the most incredible time exploring Berlin and I wouldn’t have wanted to do it with anyone else (thanks Dan). I’ll definitely be back one day, and hopefully be back to explore other parts of Germany too.